Grandma's Sewing Machine Watercolor Quilt Kit designed by Mim Schlabach of Whims Watercolor Quilts. 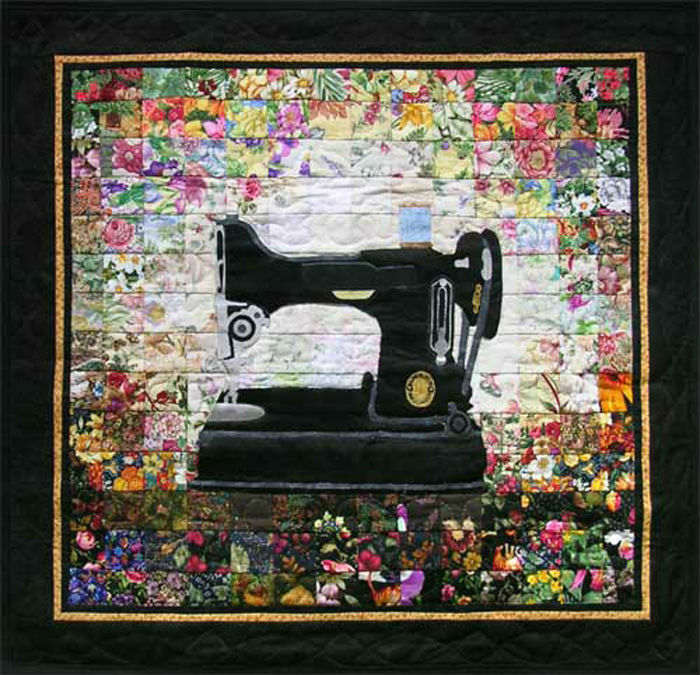 How many times have you thought of your Grandma’s sewing machine and all that it represents to you? Now you can capture those thoughts in fabric and pass them on to future generations. Make this quilt pattern as shown or add your own memories of a miniature quilt under the presser foot, eye glasses on the table, or a favorite pin cushion. The possibilities are endless! Kit includes die-cut watercolor fabrics, necessary applique fabrics and patterns, along with detailed instructions and a color photo. The 2" background squares ARE precut. The appliques ARE NOT pre-cut. Finished Size: Approximately 21" x 21" (without border). Skill Level: Advanced Beginner.